Fleas are very common pests, which often affect pets such as cats and dogs. However, they can latch onto humans and they can be dangerous in some cases: their bites can spread many diseases and infections, as well as causing major allergic reactions to some people. What are fleas and what do they look like? Fleas are small and hard to see because they often hide in the fur of pets. Their bites are particularly distinctive, and they can cause sore, itchy spots on the skin, almost like small hives. Flea bites might also be dangerous to pets because they can lead them to develop infected wounds. This is a particular concern for dogs because they can scratch on flea bites repeatedly, often causing open wounds and exposing them to other bacterial infections. 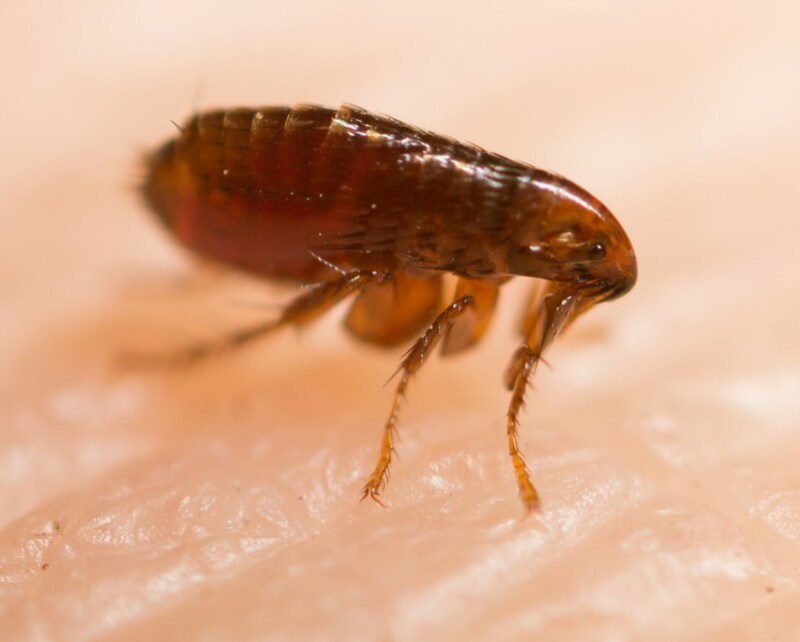 What are the signs of a fleas infestation? Pet owners might be able to spot flea droppings falling out of their animals' furs. In addition to that, they might be able to see flea eggs, which often latch onto the coat of an animal. The eggs of a flea are tiny, mucus-like curled up balls, and are often clear or white. For this reason, they stand out on darker animal fur coats. Are fleas dangerous? Are flea bits dangerous? Fleas can be dangerous because their bite can be a direct threat to pets and humans alike. They can also carry a wide range of diseases and if bit by a flea you could become a carrier of two types of tapeworms. If you begin to develop a rash from flea bites, you will want to seek medical attention immediately. Complete the form below to receive a service estimate online.